As I mentioned last week I’m going to be doing a weekly look into a different social booking/networking site. First up is Facebook and here are the findings. In the US, Facebook is the second largest social network behind only the behemoth known as MySpace. Facebook was founded by former Harvard student Mark Zuckerberg. From its beginning it spread like wildfire across Harvard and was introduced to Stanford and Yale. This was continually expanded to include anybody with a university (addresses ending with .edu, .ac.uk, and others) email address. I first heard about in the Fall of 2004. 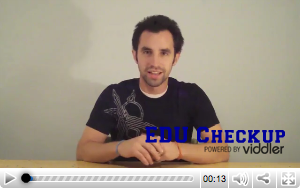 It was described as this new site for college students to connect and share information with each other. As I vaguely remember administration was very hesitant and unsupportive of it, and rightly so. Who was this facebook entity and why should our student body trust personal information to them? Of course the students had no problem sharing their lives with Facebook, and this raised some flags. My how only a few years can change things! Here was a community where students go and share information between each other, information that to previous generations was unfathomable that individuals would want to share this information. Teachers could use the site as a way to learn more about their students as students were prone to post pictures of themselves partaking in social activities that isn’t always condoned but everyone knows exists. Students were proudly displaying the social side of college life that most people prefer to turn their back to. It was all so new, refreshing, and exciting. In 2006 the site became open to selected high school students in February and ultimately in September the site became open to any user who claimed to be 13 or older. 2007 saw the introduction of an open API for developers to create applications and in October ads were introduced along with analytic tracking for businesses and the introduction of Groups. You can read more about Facebook’s history over on wikipedia’s entry. The Wofford network on Facebook has just under 2,000 members (Wofford has a student body of less than 1,400 students, just over 100 faculty, and around 300 staff). Facebook is sort of a big deal on campus, as I’d assume it is on most all college campuses. Talking to student workers I was informed that Facebook is almost a requirement and that a logical guess would say upwards of 95% of Wofford’s student body have accounts. Ways that it’s currently being usedAs can be expected there are multiple unofficial groups, but the Office of Alumni has a Young Alumni group that currently consists of over 230 members. The Athletics department has a profile for Boss The Terrier, Wofford’s Mascot. Boss has almost 500 friends to date. Finally, Wofford has an official page that currently has 280 fans. We use the Wofford College page as sort of a landing page. I post a few of the best videos, promote Wofford News pulling from an RSS feed, and invite visitors to engage in Wofford through our other channels (signup for email updates, read blogs, watch videos, and subscribe to our RSS feeds). Boss the Terrier invites individuals to sporting events and the Young Alumni group is also used as a channel to inform alumni about upcoming events. In doing some research I started up a discussion on University Web Developer about Facebook pages being used for Higher Eduaction. Since I mentioned it, University Web Developer is a social network for well University Web Developers that is setup on Ning. So if you fall into this category I highly recommend stopping by and joining our growing community. From the conversation it was also mentioned, thanks Jake, that eduStyle has put together a list of institutions that have Facebook and other social networking profiles. 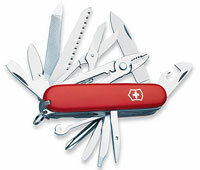 In my opinion Facebook has become the “swiss army knife” of social networks. It doesn’t necessarily do anything the greatest, but does everything well enough. With the introduction of user created applications and being open to everyone there is more to do than anyone could possibly ask. Facebook has the potential to be an excellent marketing tool for any higher education institution. Because of its simplistic and widget design you do not need to be a graphic designer to create an impressive presence on Facebook as it doesn’t really allow much wiggle room in this respect. The biggest warning is to not spend too much time attempting to overdo it. It is incredibly easy to get lost in tinkering with add on applications and searching the vast network looking for new friends. I personally feel the best way to use Facebook is as another resource to direct individuals to better branded and targeted information on your main site. I also don’t believe in regularly sending mass messages and updates through Facebook. The last thing you want to do is annoy and potentially spam or bacn your users into leaving. Next up MySpace. I know that I said I was going to concentrate on Social Bookmarking sites, but being the King of social networks I think a look at MySpace would be useful. Have a great weekend! Great post. Can’t wait to read the one about MySpace. Great post, Kyle! I am in Facebook but haven’t had the incentive to go back and keep track of everything going on there just for the lack of time and motivation. I even saw it’s promise and registered a domain to start blogging all things Facebook but it’s just collecting dust! Looking forward to seeing your MySpace post. Nice and informative post about facebook.create facebook application and boost your business. Nice and informative post about facebook. Create the Facebook fan page for the branding. Its’ great article post about facebook. Create the facebook fan page and boost your brand.